Many underestimate the dangers of driving tired. Statistics show that every year there are over 100,000 police-reported accidents and 1500 deaths related to drowsy driving. This is just as dangerous as drunk driving. Going 18-24 hours without sleep has the same effect on mental clarity as being legally drunk. Sleepiness and severe fatigue cause poor judgment and reaction time, leading to a high risk of accidents and even dozing off completely. Being drowsy doesn’t just happen in the wee hours of the morning. Studies do show that the majority of these accidents happen between 4-6 a.m.; however, a good number of them also happen between 2-4 p.m. and in rush-hour traffic. At least 25% of daily commuters report driving drowsy at least a few days a month during rush hour. It can happen to anyone, with the majority of drowsy accidents happening to people under the age of 25. Those at higher risk are men, people with sleeping disorders, parents, and shift workers. Working night shifts makes you 6 times more likely to suffer from fatigue and drowsiness. I will note here that if drowsiness is caused by a sleeping disorder; remember that I’m available 24/7. If you’re having trouble sleeping more than three nights a week, let’s get a regimen started. Sleep deprivation is dangerous to both physical and mental health. Grab a cup of coffee. Caffeine can give you a brief boost of energy, although it takes about 30 minutes to kick in, so you may want to pull over until you’re feeling more alert. Car pool and take companions on long road trips. It’s better to take someone who can share driving responsibility, but most importantly someone who will stay awake to keep the driver awake. Avoid heavy carbs and junk food while driving. Go for energy boosters with protein and complex carbs such as cheese and crackers or peanut butter on a whole grain bagel. Nap if you need to. A short 15-20 minute nap may be all that’s needed to recharge. Park in a well-lit lot and set a timer for no more than 20 minutes. Longer naps are likely to cause more sleepiness and disorientation. 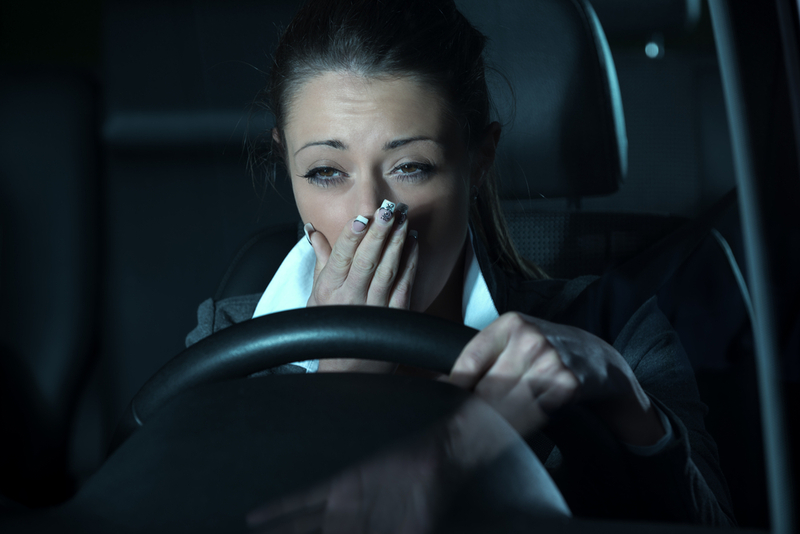 Contrary to popular belief, cold air and loud music will do nothing for the drowsy driver. Additionally, one should avoid certain medications like antihistamines, narcotic pain relievers, and motion sickness medications before driving.